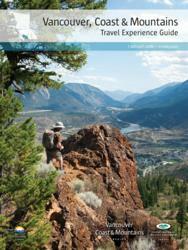 Visitors can customize, personalize, and create a travel handbook designed specifically for their upcoming vacation. Vancouver, Coast & Mountains is welcoming spring with the launch of a Vancouver digital travel guide for visitors to the region. The eco-friendly Virtual Vancouver Travel Guide enables visitors to customize, personalize, and create a travel handbook designed specifically for their upcoming vacation. Users can create tailored itineraries from the comfort of their home computer, or on the go from a hand held device or tablet. Flipping through the guide’s digital pages, the Virtual Vancouver Travel Guide allows readers to click on links directly related to the places they would like to visit. Readers are able to bookmark pages, add notes, and send the guide or portions thereof to friends and family. This lets visitors create their own customized Vancouver travel guides, suited to their unique interests. The addition of interactive video is designed to enhance user experience and gain an understanding of Vancouver, Coast & Mountains’ four distinct destination areas: Metro Vancouver, Sea to Sky Country, Mighty Fraser Country and the Sunshine Coast. “Vancouver, Coast & Mountains is like no other place on earth,” says Kevan Ridgway, President & CEO. “The Virtual Vancouver Travel Guides will offer visitors an interactive way to plan their trip prior to arrival and to allow them to make informed choices during their stay. The electronic guide is also a convenient, time efficient way to maximize their experience while in the Vancouver, Coast & Mountains region”. About Vancouver Coast & Mountains: Vancouver Coast & Mountains, is one of six tourism regions of Super, Natural British Columbia. It is a non-profit society governed by a private sector board of directors who represent business and community tourism interests throughout the region. VCMBC works with Tourism British Columbia to utilize their combined resources and provide greater benefits to the provincial tourism industry through an integrated web presence. For more information about Vancouver, Coast & Mountains visit our website at vcmbc.com or call 604-739-9011.